After months of training and fundraising, 18 dedicated and determined members of Team JAF successfully crossed the finish line of the 123rd Boston Marathon on Patriots Day 2019 in support of the Joe Andruzzi Foundation’s mission. Team JAF runners ran for very personal reasons, but the one thing that unified them was the desire to make a difference in the lives of families faced with cancer. They chose the Joe Andruzzi Foundation because they understood the impact that a JAF grant can have for a family struggling to pay household bills, while also trying to cover the unexpected costs of cancer treatment. 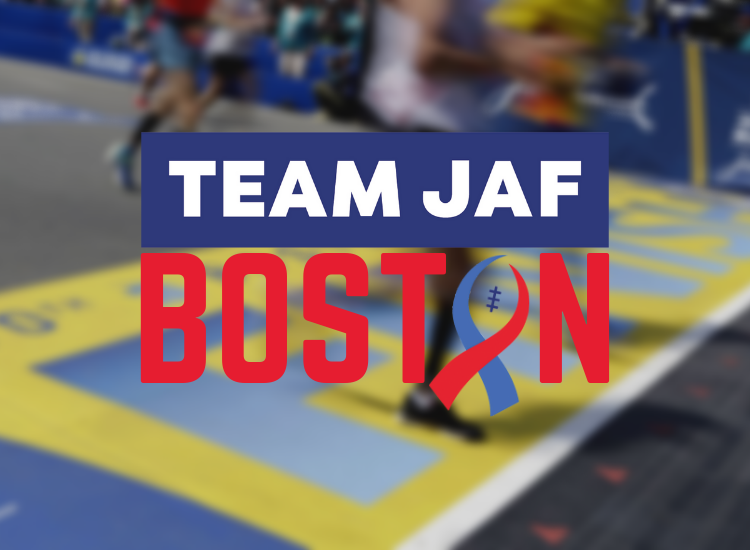 If you would still like to contribute to Team JAF’s 2019 Boston Marathon campaign, donations will be accepted through May 20, 2019 by visiting the link below.